Want to know the fastest way to a cook’s heart? Give a gift that makes food prep easier and serves up delicious results. Here are 10 gift ideas from Consumer Reports' kitchen labs. And if you're the one cooking or baking, consider these for yourself. Or start dropping serious hints. CR's take: The 5.5-quart Le Creuset Dutch oven is the only one of the eight tested that earns an Excellent in our browning tests, and it's easy to clean. This pot and its lid weigh 12 pounds, less than most tested, and the loop handles are nice and wide. 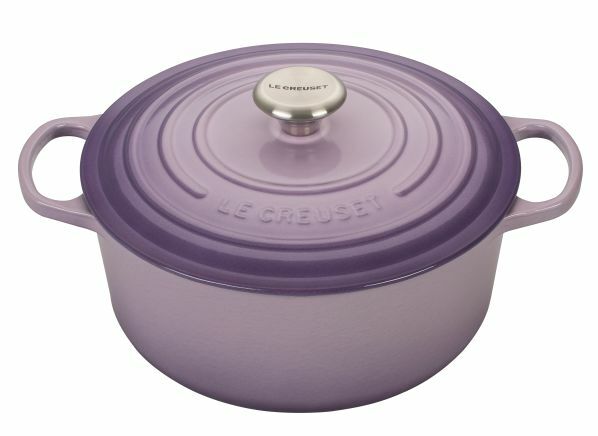 It's true that Le Creuset is the priciest Dutch oven in our cookware ratings. For $75 or less you can still buy one that's impressive and attractive enough to move from your oven to the table. CR's take: The Cuisinart Green Gourmet nonstick set earns an Excellent rating in cooking evenness. And the 6-quart Dutch oven quickly brings water to a near-boil. 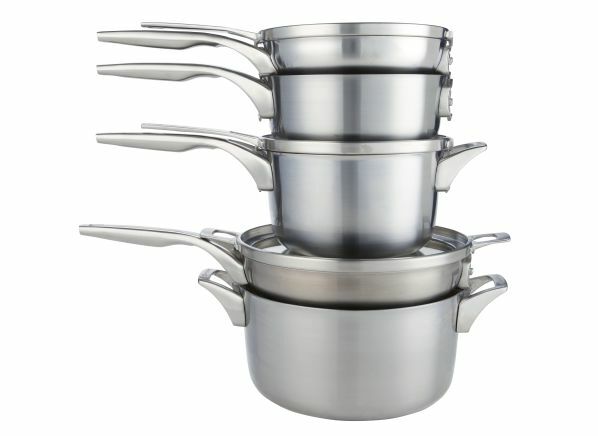 This set has 12 pieces, counting the lids, and is made of anodized aluminum. (Anodizing hardens the surface of aluminum and renders it nonreactive, so you can cook acidic foods in the pan without worrying about aluminum leaching into it.) 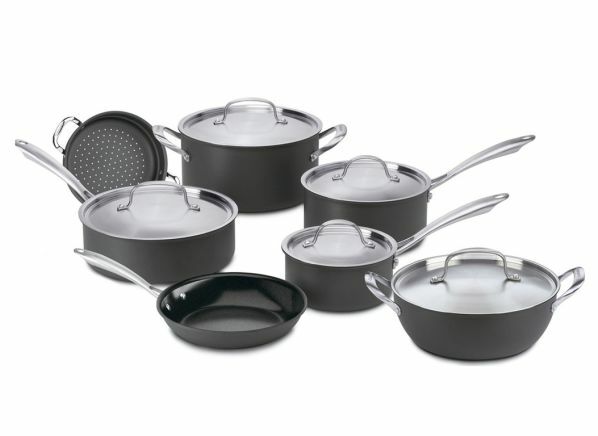 If your budget is $150 or less, check the nonstick sets in our cookware ratings from Rachael Ray and Tasty. CR's take: The Calphalon Premier Space-Saving 8-piece stainless set serves up food that's evenly and nicely browned, earning a Very Good rating in our evenness tests. The handles are long and sturdy, and you can use this cookware on any type of range, including induction. If you or your gift recipient are low on storage space, take note: Calphalon designed this set so that it stacks and nests, which frees up precious cabinet space. CR's take: Instant Pot's official Facebook community page has over 1.6 million members. These superfans swap recipes and share tips for using this popular multi-cooker. So what's so hot about the Instant Pot? We tested the Instant Pot DUO60 7-in-1 and found it cooks faster than a stovetop and offers hands-off cooking that frees you to do other things. It's meant to replace seven countertop appliances, and our tests show that while steaming may not be its thing, the Instant Pot delivers. 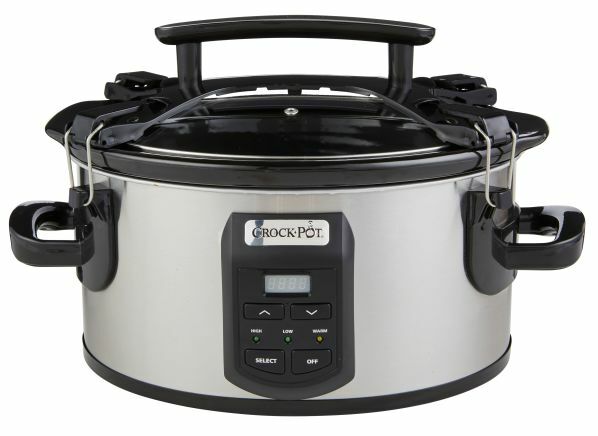 CR’s take: Crock-Pot added the Express Multi-Cooker to its lineup to compete with the Instant Pot, though slow and steady has long been Crock-Pot's claim to fame. The 6-quart Crock-Pot Cook & Carry has a ceramic pot, a hinged lid that locks, and a handle on the lid to help make carrying this 12-pound slow cooker easier. It’s the only one in our slow cooker ratings that garners an Excellent in our low-setting tests, telling you that it can serve up tender beef and veggies when it cooks low and long. It’s impressive on the high setting, too, making it the best we tested overall. CR's take: We tested two sous vide tools, the Joule, shown here, and the Anova Precision Bluetooth model (a WiFi version is also available). Cooking times are longer than cooking the same food in an oven or on a rangetop, but our tests reveal that the investment in time pays off. Both the Joule and the Anova maintain set temperatures and deliver excellent results. CR's take: The Hamilton Beach 37530Z offers multilayer steaming. You can put longer-cooking foods, such as chicken breasts, fish steaks, and red potatoes, in the bottom bowl and later add faster-cooking foods—green beans and squash, for example—on top. Our broccoli and carrot medley was crisp and full of color, and the clear lid allows you to keep tabs on the process. CR's take: All 14 models in our air fryer ratings turned out nicely cooked food, though none replicated deep-fried results. The differences are in the details: measured capacity, controls, noise levels, and how much elbow grease it takes to clean this appliance. 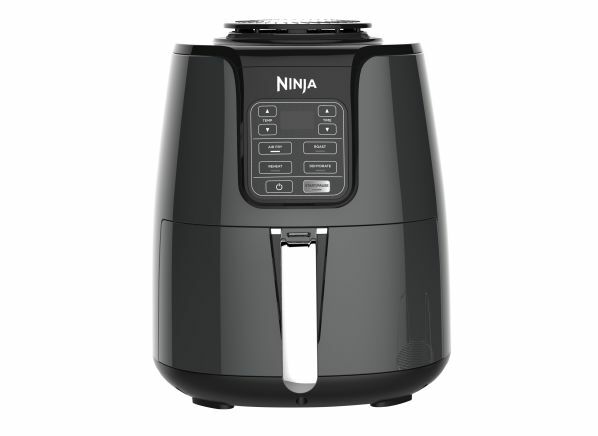 Testers found that the 3-quart Ninja AF100 has electronic controls with preprogrammed settings that are among the easiest to see and use. Cleaning the inside and outside of this fryer was fairly easy, but it's on the noisy side. The fan is as loud as a countertop microwave, so you'll hear it running. CR's take: KitchenAid stand mixers show up on plenty of wish lists, but they also carry a high price. 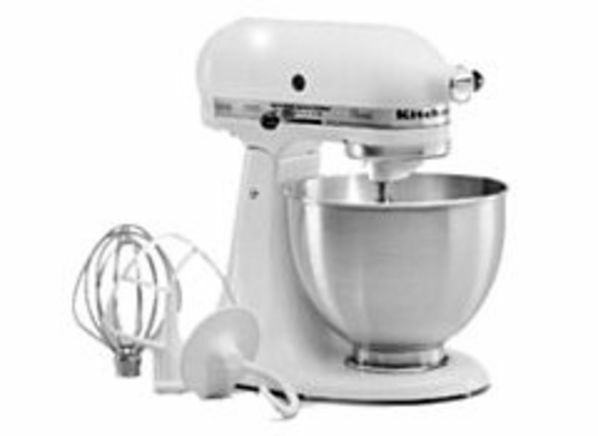 The KitchenAid Classic K45SS is one of the least expensive KitchenAid models in our stand mixer ratings and could make a great gift for a loved one who loves to bake. It earns an Excellent rating in our mixing tests, easily handling large batches of chocolate-chip cookie dough—enough for 5 dozen of cookies. Kneading? No problem. Whipping cream is quick. Many of the stand mixers tested are noisy, however, including this one. It's available in white and black. 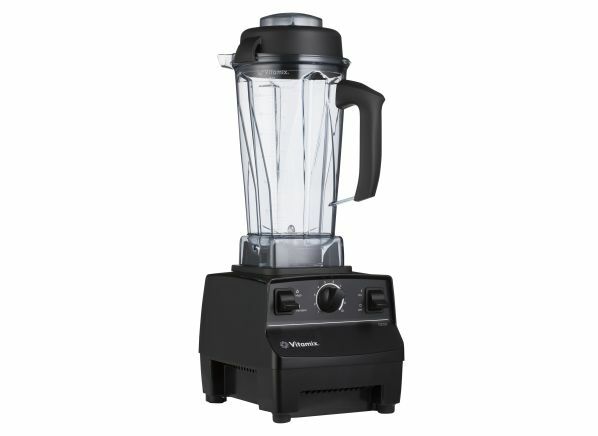 CR's take: The Vitamix 5200 garners an Excellent rating in our tests for icy drinks and puréeing, which means it serves up smoothies with a smooth, consistent texture and no stringy greens. You can also use it to crush ice and make hot soup. We followed a Vitamix recipe for tortilla soup and used the highest speed to blend stock, vegetables, and seasonings for 5 minutes. The fast-whirring blades create friction, enough to make smoothly blended hot soup. If you want to spend $100 or less, consider our picks for budget blenders.